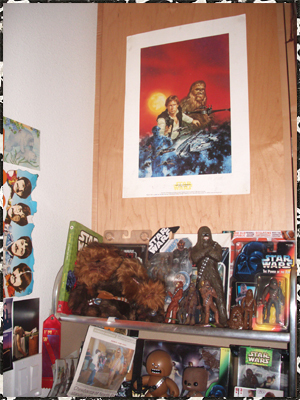 This page is dedicated to my amazing Chewbacca collection! (And my obsession with the character from Star Wars) I have been collecting since the mid 90's and I still collect to this day. 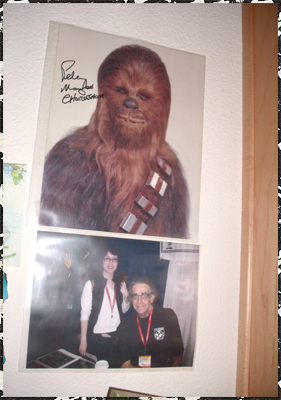 I am a huge Star Wars fan, but I'm an ever bigger fan of Chewbacca! I love to search for Chewbacca items instead of just buying them online. The whole fun is the hunt and finally finding something I really like. 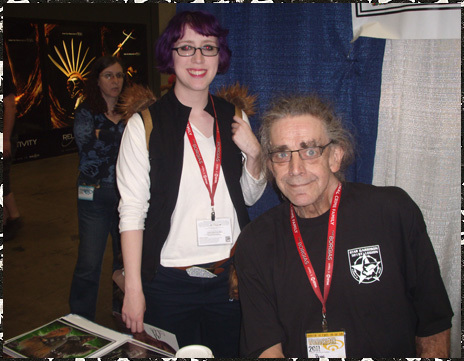 Finally on April 5th 2011 I met Peter Mayhew, the guy who played Chewbacca. Been trying for years, another thing scratched off my bucket list. A taste of my giant action figure collection. 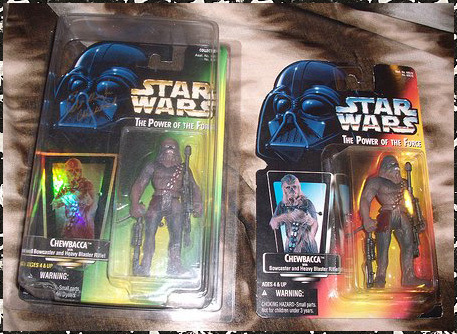 The one on the left is signed, and the other is the first Chewbacca figure I ever got. 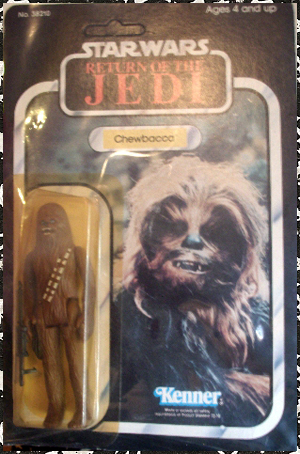 Original 1985 ROTJ Chewbacca figure. 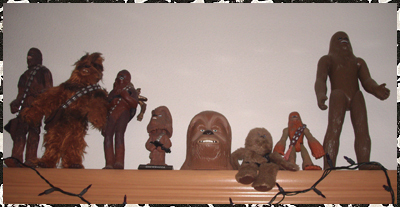 My Chewbacca dolls, bobble heads and beanie babies. 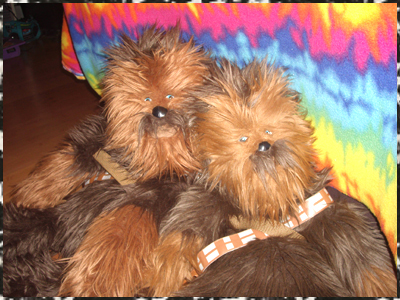 My two Chewbacca back packs! One is newer with embroidered eyes instead of plastic. 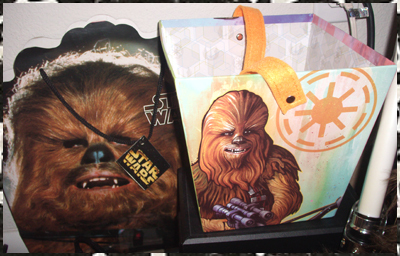 Chewbacca bag and candy basket. 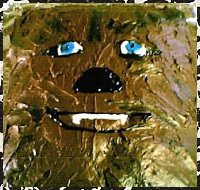 My Chewbacca birthday cake. I try to make one yearly! 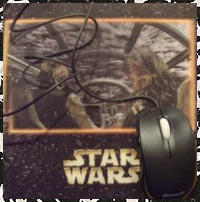 I bought this Chewbacca mouse pad back in the 90's...never had a computer of my own to use it with. Now I finally do! Tada! 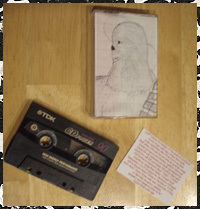 Perhaps the most pathetic thing in my collection...my Chewbacca mix tape. 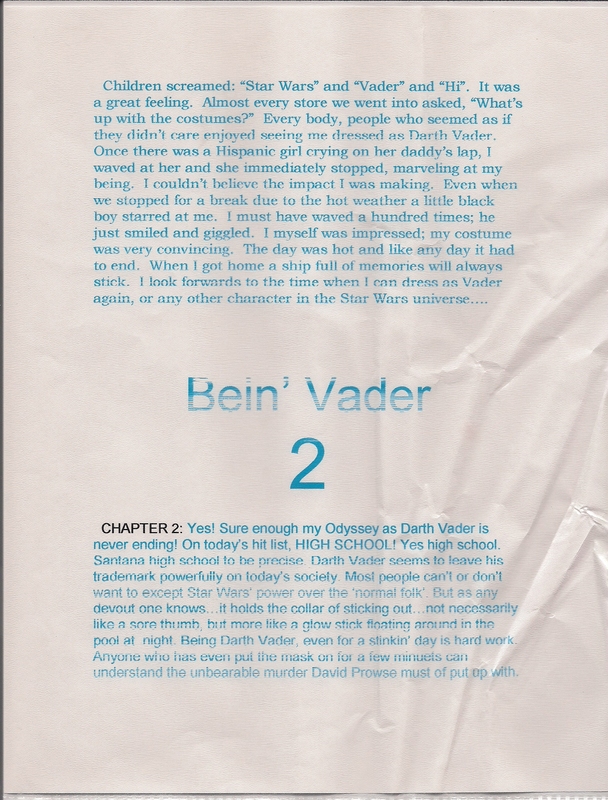 I made it after reading Vector Prime. I was really sad and decided to put together "The Chewbacca Soundtrack" in honor of Chewie. Yup, I'm a loser baby. 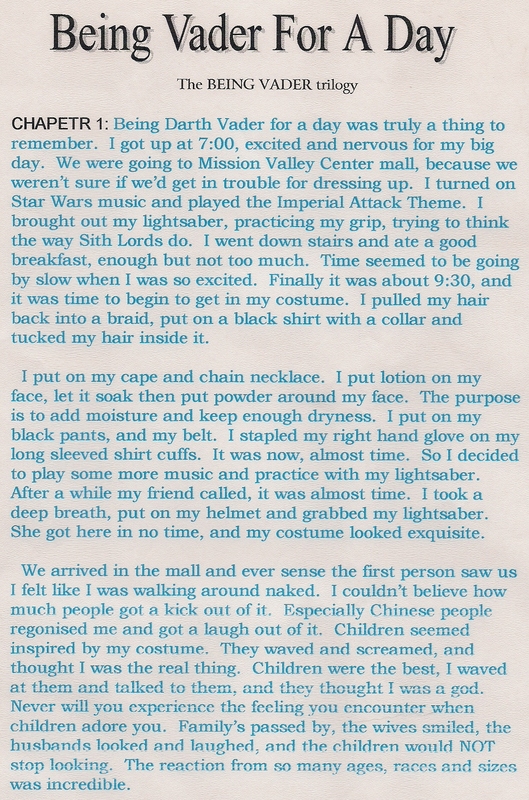 In Jr. High and High School I used to go out dressed as Darth Vader. To malls and to school mostly. 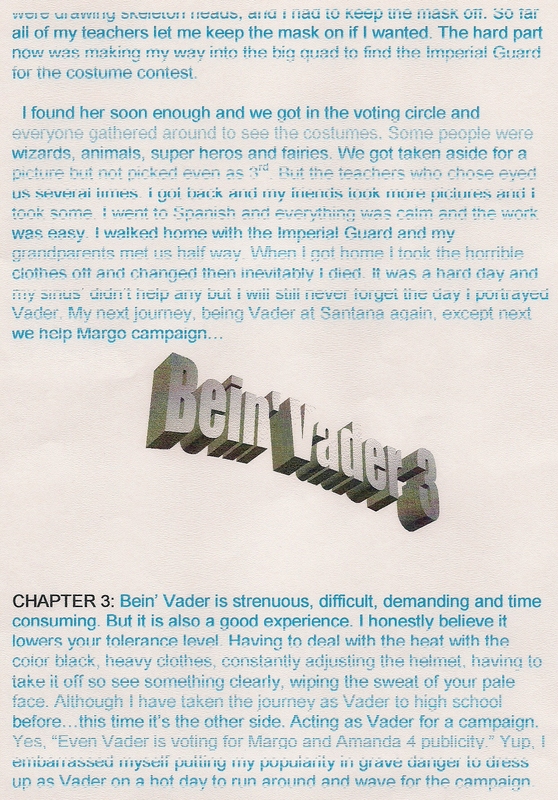 I kept a really crappy and hilarious journal of what it was like to dress up as Darth Vader.